Everton have finally completed the signing of Gylfi Sigurdsson from Swansea for a club record fee of £45m. Having completed his medical on Wednesday, the Iceland international joins the Toffees on a five-year deal, and will reportedly earn £100,000-a-week from his new contract with the Merseyside outfit. Manager Ronald Koeman supposedly paid an initial fee of £40m, along with two £2.5m add-ons. The midfielder becomes Everton’s seventh signing of this transfer window, and this transfer has taken the club’s summer spending to a whopping £144 million. 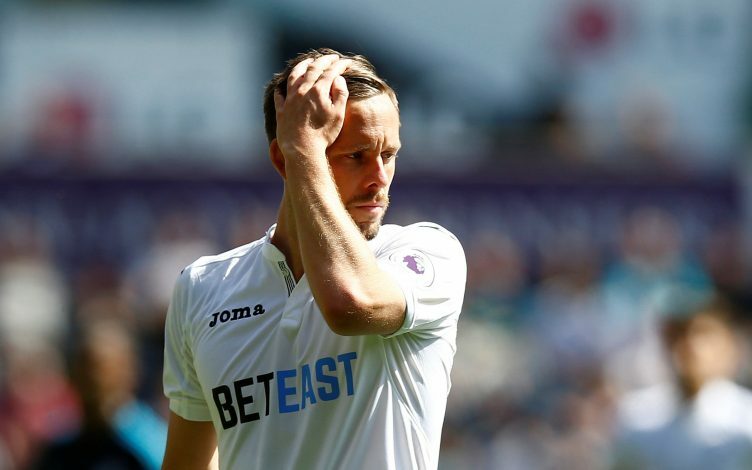 Upon the completion of the transfer, Sigurdsson spoke to the club’s official website, and stated: “Hopefully I will continue to create goals and score goals for the team and contribute to the kind of success we’re seeking at the club. “This is an ambitious club and it is clear we are moving in a really good direction. The most important thing is that this team keeps winning games and climbing the table – and does that throughout the season.